Home > Archive by Category "Law Firms"
The answer is simple — it’s in the name. A chatbot is simply a robot that chats with potential clients on your website to keep them engaged and interested. It’s a tool to improve your marketing and inform new clients about who you are and what you do. Using a chatbot can lead to more clients and engagement on your website. Best of all, it means less work for you, so you can focus on what you do best: representing clients. Keep reading below to learn more about chatbots and how they can help you. Chatbots use artificial intelligence to communicate with the people who use them. Basically, they learn how to talk to people as they’re developed. By the time they find a home on your website, they know how to assist people with whatever they need help with. In essence, they’re just virtual assistants. People can ask questions, and the chatbot will answer them to the best of its ability. Best of all, your chatbot can be programmed to lead people to whatever conversion you want. Chatbots are also a great way to engage users and introduce them to your firm. Many Internet users are hesitant to talk to actual people about whatever they may be looking for. So much of the Internet is run by robots that it can come as shellshock to speak to an actual person. With a chatbot, these people can engage your firm without ever having to speak to anyone. It also means you’re leveraging automation, which will not only boost your success but also free up your time to get other work done. The best part about chatbots is that they’re easy to set up on your website. You don’t need to be a tech guru to get in contact with any variety of chatbot services. All you need to do is research the one you want. Then, purchase a license to it. The company behind the bot will likely have a fleet of customer service representatives to help you through the installation process if you need it. 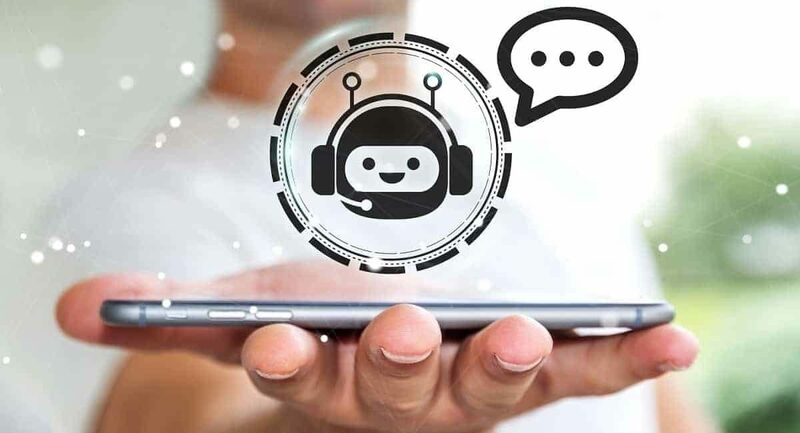 There are many answers to the question, “what is a chatbot?” Some people will say that it’s an artificially intelligent assistant to improve your customer service. Others may call it an unnecessary gimmick on your website. The actual answer is that chatbots are valuable tools to improve your connection with your clients. They give people something to talk to when you may not be available. They guide people through your website much in the same way lawyers guide people through complex bureaucratic laws. And to find the right lawyer for you, just use our tool here. We’ll make sure you find exactly the lawyer you’re looking for so that you’re not alone when you need it most. Accidents are something that nobody ever wants to happen to themselves. However, they do happen, and when they happen to you, you need an excellent personal injury lawyer to handle your case. The problem is, it can be confusing to find the best person to give you a legal representation. 1. Have you had experience in cases like mine? Each state in the U.S. has bar admissions to allow a lawyer to practice law in that area. For example, if you live in Los Angeles, you’ll need Los Angeles personal injury lawyers to help you with your case. So, if you have a cousin who’s an attorney in New York, they can’t legally represent you unless they have a license to practice law in Los Angeles. You need to find a lawyer from your local area. Ask them if they’ve handled cases similar to yours and if they won any or all those cases. If they mostly won, then that’s good because you have a high chance of winning the case, too. 2. How long have you been practicing personal injury law? Each lawyer have their strengths and weaknesses. One can be a great personal injury lawyer, while others aren’t that experienced in other practices such as environmental or real estate law. Ask your potential personal injury attorney about how long they’ve been practicing personal injury law. It’s essential that they have experience for personal injury law. If they’ve only had experience in business law or entertainment law, they may not have sufficient knowledge needed to win your case. They can probably try to learn what they can, but you’ll be on time constraint. 3. Who will work on my case? Most lawyers usually work in law firms where they work in teams. A client’s case may be handled by several different people such as the senior lawyer, junior attorney, paralegal, and others. If you’re not comfortable with the various people handling your case, ask your prospective attorney if they will handle the case by themselves or other people will be involved. While you’re talking with the lawyer, make sure that you understand what they’re telling you. There will be a lot of legal terms that you may not be familiar with, so it’s crucial that they can explain it to you in a way that you can clearly understand. It’s also a good sign that they want you to understand what could happen during the case, so you’re not clueless. When you’ve been in an accident, of course, there will be money involved. Medical bills will pile up, and even if you have insurance, there might still be some issues around it, which a personal injury lawyer can help you with. Aside from that, there are also other fees that you might want to prepare your pockets for, such as court filing fees and expert witness fees. Ask your lawyer how much money you have to shell out for the case. 5. Do they work on a contingency basis? Most personal injury lawyers work on a contingency basis. The attorney working on your case will only get paid depending on how much money you’ll get when you win or when you get a settlement. It means you won’t need thousands of dollars to file a lawsuit. Ask the lawyer you’re meeting with if they work on a contingency basis. If they are, then that’s good. If not, then try looking for a different one. 6. What’s the estimated length of the case? Your personal injury lawyer should be straightforward when you ask them about how long the case would take. If they insist that it would be quick and won’t last for months, don’t be too trusting. They have to give you a realistic estimate. If it’s going to be a lengthy case, ask them why it might take that amount of time. 7. Can you provide any references? Ask the lawyer if they can provide references from their previous clients. You should at least find out how they handled matters of earlier cases. You should know how highly or poorly they handled their previous cases. You can also browse online reviews if there are any. Weigh in the negatives and the positives so you know if you can trust that lawyer for your case. In case you get involved in an accident, which hopefully won’t happen, make sure to hire a good personal injury lawyer. If you got severely injured, and you’re the provider of the family, money will be tight. But, if you have an excellent attorney to represent you in court, at least you won’t get knee deep in debt. When was the last time you slipped on a wet surface and fell? According to the National Floor Saftey Institute, slip and falls cases account for 1 million hospital visits. These slip and fall cases happen all the time. Sometimes they can result in a minor graze but other times they can cause serious damage and lead to you being off work for weeks or even months at a time. So if you’re sure it wasn’t your fault, how do you go about taking legal action against the culpable party. More importantly, how do you make sure you win? The easiest way to find someone legally culpable for a slip and fall injury is to prove that they were negligible somehow in an uneven surface that caused you to fall. To begin your investigation into whether there is a case that someone has to answer, you are best to hire a personal injury attorney who will be able to give you a realistic view on how successful you are likely to be. Have a Google and see who is operating in your local area but also feel free to ring them up to ask them for a quote or a brief discussion of your course. They’re going to be more than willing to help if there is money to be made. Hiring an attorney who specializes in personal injury can help take the stress out of the whole process of trying to claim money back for a slip and fall as they can manage the whole process and ensure you don’t get ripped off. There are a number of scenarios where a party may have placed you in danger through a dangerous condition. This could be a local state or county government leaving an uneven road surface or pothole in the road without fixing it or signposting it. A person with a private property such as a neighbor may have left a rubbish bag or other obstructing item on a pathway and this may have caused you to trip. Or maybe, as has been the case in Wisconsin recently, icy roads, may lead to unexpected falls. Alternatively, a cleaner may have recently cleaned a bathroom either at your place of work or at a public place and not left a sign outside reminding you to be careful that the floor is slippy leading to you falling the ground. The NFSI has a number of tests and standards to help determine whether the company is at fault. These include a test to determine the wet static coefficient of friction (SCOF) of hard surfaces like laminate, vinyl, and tiles in the case of a wet floor. There’s also a walkway surface auditing procedure for the slip resistance of walkways. In order to prove that this is the case, the person or company has got to prove in court that they did not provide a reasonable level of care and they could have foreseen the accident. In other words, you need to be able to prove that the other party acted incompetently. There are various ways of doing this. One way of determining this, if you are suing a private company, is to determine whether there is a regular pattern of failing to properly follow health and Saftey guidelines. This could involve requesting the company to provide documents such as a reliable log of potential hazards? If it was a slip and fall, then was there a cleaning rota and was it noted that the bathroom would be cleaned at the time of your fall? If the company cannot provide these documents then that in itself may significantly work in your favor. If the hazard was recorded in the log then who knew about the hazard and which specific employees failed to act? Such documents can also help you determine how long the obstacle – the wet floor or uneven surface – had existed. If there was only a two-minute interval between you slipping or falling and a cleaner or caretaker was in the process of going to get a sign when you fell then this may be harder to prove. If, however, the obstacle had been clearly known about for days and weeks and nothing had been done then the company clearly is at fall. This is a hard question to answer and only you know the answer to this. However, be prepared for your own conduct to be questioned if you do end up pursuing a lawsuit. If you were running down a corridor and slipped and fell or you had your earphones in and were dancing, not paying attention to the road when you fell over an uneven slab this could very well count against you. Remember if the company or person you are pursuing has lots of money and resources they may well be able to track down members of the public who happened to be passing by and saw what was happing to act as witnesses. Acting responsibly also means following procedures and reporting your injury to the relevant authority and filing the appropriate reports. Those who suffer from a slip and fall and do nothing at the time but decide to pursue it through the legal system months or even years down the line are often viewed with skepticism by the courts who see a claimant, not really affected by the case at the time, but simply trying to cash in. The court can award you a settlement that is comprised of a number of different factors. These include. Pain and suffering. This is to compensate up for the distress that the incident caused you and the pain you may have had to endure. Medical expenses. Everyone knows how expensive healthcare is in the U.S, even if you had a good insurance plan so these are a necessity. Lost wages. If you work in a traditional 9-5 then most of the time you’ll be covered by sick pay but if you’re self-employed or you have a more liberal contract with your employer you may lose out on some serious money even if you don’t have to go to the hospital. Make sure you keep a record of exactly how much money you lose. Other expenses. Any other bills you have to pay as a result of the injury might also be covered. Did you have to take a taxi or an Uber from the place the slip and fall accident took place to the hospital? Make sure you kept the receipt. Slip and fall cases can cost you lots of time off work. They can also be very painful if you fall in an awkward position and need treatment at a hospital. Finding a lawyer who can help you determine how to proceed,however, is now easier than ever as lawyers have really put lots of effort into marketing their services online to make it easier for you to find the right lawyer for you and your case. If you own a law firm, you desire growth. You might want to expand into new markets. You may desire to start offering new legal services. Growth means more profit. As a lawyer, you not only want to serve society. You also want to maximize your profits. The National Legal Staffing Support (NLSS) is your partner of growth. With an extensive network of lawyers, NLSS is the ultimate Legal Process Outsourcing (LPO) service provider. NLSS will provide you with all the talent that you need for business growth. You will not be able to expand if you lack the talent. The difference between a top firm and a mediocre one is the talent. Fine legal talent will make you to win cases. Small and medium-sized law firms find it hard to attract talent. All the top lawyers want to work for the large firms because of the benefits that such firms offer. Retaining talent is not easy even for the top tier firms. Human resource issues are a big hassle. Human resource management will consume a lot of time, effort, and resources. NLSS will deal with most of your human resource issues. NLSS will provide you with all the talent that you need so that to grow your firm. To grow in any market, you need to be competitive. You need to gain a competitive edge over your competitors. NLSS services will make you competitive. Thousands of law firms are already using NLSS services. If your firm is not yet doing so, you are missing a big opportunity to grow your business. You might want to expand your practice areas. NLSS will provide you with a world-class legal and paralegal team that will make it easy to venture into new practice areas. You will be able to tap into expertise that is not available in-house. An in-house strategy alone will not help your firm to grow. Even the top firms have already realized that. You also require a legal outsourcing strategy. This will expose your firm to a global pool of talent. With the National Legal Staffing Support, your firm will remain abreast with the latest changes in the industry such as emerging laws and regulations. That will make it easy for your firm to adapt to new developments, facilitating legal compliance. Growth should come with flexibility. You should be able to upscale or downscale your operations when you need to do so. That is exactly what NLSS will do for you. With NLSS, no permanent employment contracts bind you. During high season, NLSS will upscale your operations. When there is no business, you will be able to downgrade your operations so that to save money. Growing your firm does not have to be a financial burden. NLSS will increase your capacity to serve clients without increasing your firm’s overhead costs. You will not need to hire more lawyers and paralegal staff. If you have done shopping in supermarkets, then you will understand the concept of the same businesses offering different products. Basically, law firms might seem similar because they are all offering legal representation. However, what differentiates them is the ability of what they do and the services they can offer. Some law firms can’t handle a certain type of case yet some can. Some law firms can represent you in foreign countries and other law firms are unable to do that maybe because they are short of resources. That is why you need to be sure of the law firm you intend to hire. The other thing you need to evaluate is whether they offer specific services. You need to understand that just because they are law firms, it doesn’t mean they offer everything. Some law firms might not offer a certain type of lawyer that you need. So, it is up to you to decide on what you want. For instance, of you want a law firm that can help you handle medical negligence during birth then you can hire Ray Gupta & Associates law firm. The reason why you might hire a particular law firm and ignore the other is because of experience. Its very simple, some cases require the lawyer to understand the law to a certain depth. This is something that you might not get from someone who just gotten his or her license. Just look deeper amongst the law firms around your area and you will get the one law firm that has been around for a while. In addition, experienced law firms have made friends over the years. Thus, they can help speed up your case. Why would you walk to a shop and buy something that you don’t need? You need to be sure of what you want when it comes to getting a law firm. There is nothing as terrible as hiring a law firm only to realise that they can’t help you in particular fields. To save yourself from such disappointment, just have a list of what you want and then evaluate each law firm in relation to what you want. Acquiring another business is such a boss move by business owners, one that has been implemented over time. The acquisition process is often embraced as an opportunity to grow profit margins, and reach out to a broader customer base. However, the process is not entirely free of complexities and challenges. Coming together of two different entities is not an easy process. Therefore, the very initial process of acquiring a business should be guided by certain principles and goals that motivate the action. Other than the need to improve profit margins, the business owner buying a law firm must have a clear vision articulated as a goal. It is not enough to have a vague goal like to expand your business. The goal-setting process should cover other dimensions like the long-term projections you intend to realize from the acquisition process. Once you have an Acquisition opportunity, it is important to remember that the process of acquisition is a complex one that requires expert opinions and intervention. Once you are past the setting clear goals for the acquisition of a firm, the ensuing phase of implementing and achieving the goals can get overwhelming. Ideally, a business attorney would best serve as the expert to guide you through the acquisition process. The essence of this step is to consolidate the proficiency of the acquisition processes, particularly concerning the terms under which a business owner can gain complete ownership over the law firm in question. The acquisition of a law firm requires extensive due diligence from the buyer. It is not enough to believe the information that the seller says about themselves. 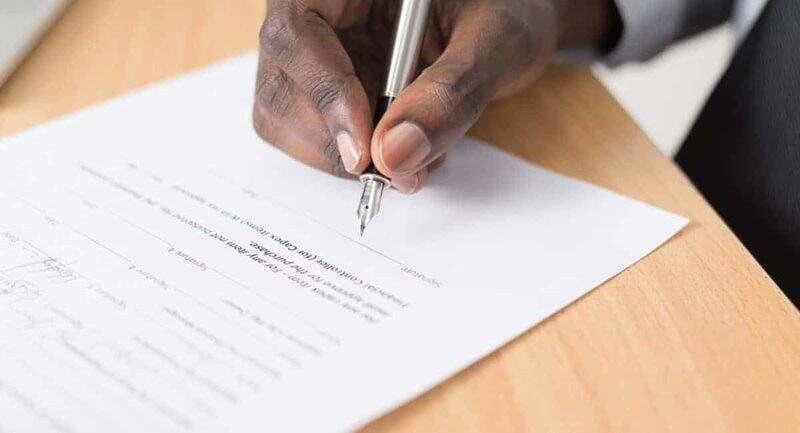 Before you begin to draft a final purchase agreement and finally close the deal, make sure you indulge in thorough independent checks on their financial records and projections, third parties involved in the law firm to be acquired, among others. Performing your due diligence comprehensively is beneficial in making informed projections for the future of the venture, eventually affecting the success or failure of the entire transaction. With the right target for your law firm acquisition transaction, you cannot close the deal until you have had in-depth talks. This stage is crucial in realizing the terms and conditions under which the venture will exist. This step is a critical phase where the involvement of the experts for legal counsel will benefit your entire transaction. The agreements resolved in the negotiations should adequately meet both your short-term and long-term needs. After you have thoroughly handled this step, you can close the deal and get working on ensuring the successful merger or acquisition. Overall, the process of successfully acquiring a new company can overwhelm all business owners of any capacity. The important part is to retain the counsel of the experts throughout the process, should any issues challenge you.